Microsoft’s Surface is coming out on Oct. 26. Did you hear? It’s been on the minds of quite a few people since pre-orders went up (and sold out). But not so fast. 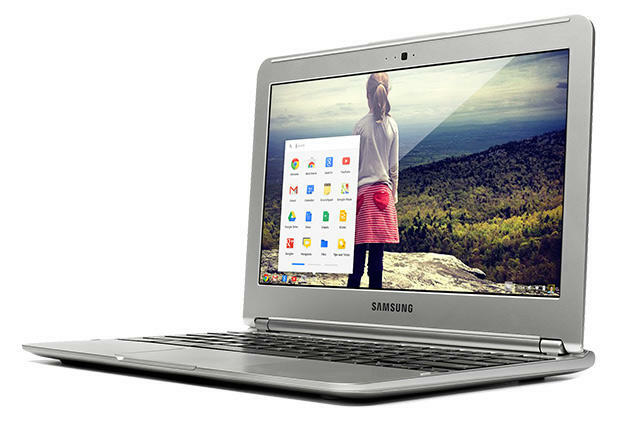 Google is trying to steal some thunder away from Microsoft’s very first tab by announcing a new Samsung-made Chromebook that will retail for just $249. $249 for a product that lies somewhere between a tablet and laptop. A tabtop? Pair this with a Nexus 7, and for less than what a Surface costs, you get a pretty good value. The Chromebook is certainly niche in its approach — not necessarily meant to replace a full-blown laptop, but not as portable as a tablet — but for those who merely Web browse, email and watch the occasional YouTube video, this certainly fits the bill, especially at just $250. The new Chromebook features an Exynos 5 Dual ARM processor, Wi-Fi only, 11.6-inch display, 16GB of storage, 2GB of RAM, Bluetooth and an SD card slot for expandable storage. Additionally, Google claims it’ll get 6.5 hours of battery, weighs in at just 2.5 pounds and measures in at .8-inches thick. Yikes, that’s kind of hefty by today’s standards. The new Chromebook is available for pre-order now; you can get one online from Amazon, Best Buy, TigerDirect or NewEgg, or at a local Best Buy. Chromebooks are definitely interesting, described by Google as being, “Built for everyday use and perfect for sharing with others (if you really have to).” If you need something “For Doing,” “For Going,” “For an easy life,” and “For virus haters,” then the Chromebook might be something you want to consider.